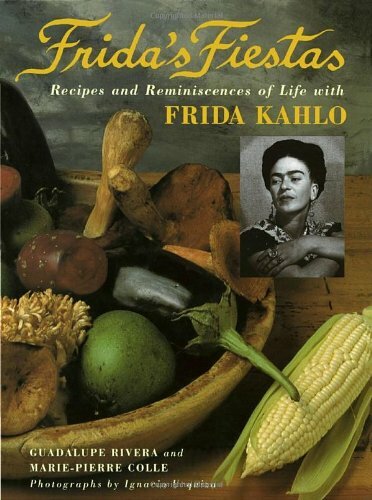 A few years ago I was pouring over Frida's Fiestas, pretending I was Mexican and I came across the mole poblano recipe. I couldn't get it out of my head mainly because as I researched and inquired more, the responses I received were that it must be made with several people, it takes hours, if not days and it should be eaten as a celebration. Umm, what about that would make someone NOT want to make this! Every year I make mole at least once and every year it's different. The experience is shared with different people and the results are never the same taste. Equally as delicious, but never the same. It's my proof that "Like Water for Chocolate" is the real deal, my one chance out of the year to play with magical realism and nearly the only time I don't follow a recipe. This year we made it for a holiday gift (I'll post how I packaged that, next) and it was made with myself, my husband and one friend. I think many of us have traditions and recipes that we make with families, but I love mole because the way I've started to make it is with friends, even acquaintances and never the same group. It makes the hours of stirring more enjoyable and worth every labor intensive step. I would love to hear if anyone else has any "friend" traditions? Saute the chiles in 5 ounces of hot lard. Chiles should be bright in color and pliable, not crispy. Remove from the skillet and place in a large stock pot. In the same hot lard/ oil, saute the garlic and onions until the onions are translucent. Add the coarsely chopped tortillas, roll, raisins, almonds, pumpkin seeds, half of the sesame seeds, the anise seeds, cloves, cinnamon, peppercorns, chocolate, and tomatoes. Saute all the ingredients well, taking care to roast and toast, not burn. Puree the mole mixture with some of the turkey broth and strain directly into a pot (preferably clay). Stir until the color changes to a deep dark red/ brown, taking care not to allow mole to stick to the bottom of pot. Run your wooden spoon along the bottom constantly. Season to taste with sugar and salt -- it should be slightly sweet. Add more turkey broth if needed, but the sauce should be thick. Add the turkey pieces, and simmer to warm thoroughly. Serve the mole from the pot, sprinkled with the rest of the sesame seeds.